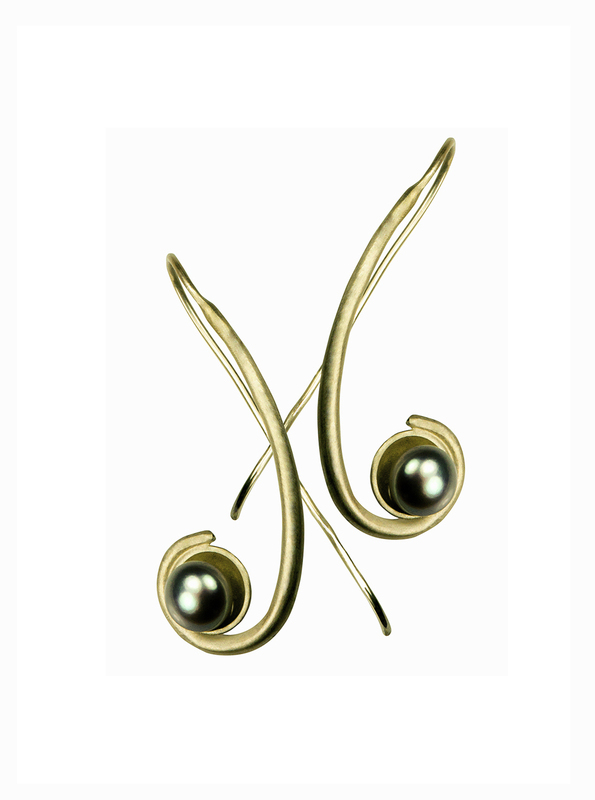 The elegant and subtle curvy, twirl earrings are made in ethical polished silver which has been luxuriously gold plated and is embellished with grape coloured pearls. A great item of jewellery for the day or evening. Would you like to make an inquiry? You can contact farah@farahqureshi.co.uk for further information. Please note that all jewellery is currently made to order and takes a few weeks to make and send. These elegant statement earrings are made in ethical polished silver and are inspired by a textiles pattern and also chandeliers. They are great for both day and evening wear. Would you like to make an inquiry? You can contact farah@farahqureshi.co.uk for further information. 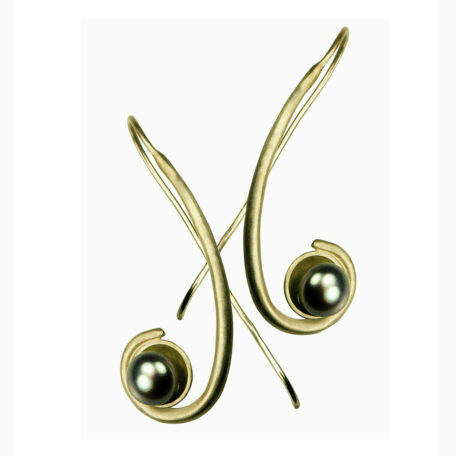 The earrings are made to order and can take between three to four weeks to make and dispatch. 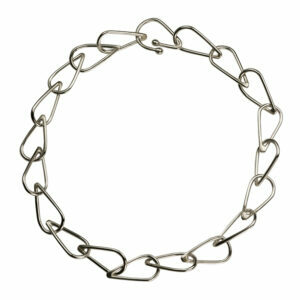 A stunning handmade chain anklet, great for the city or for wearing on holiday. 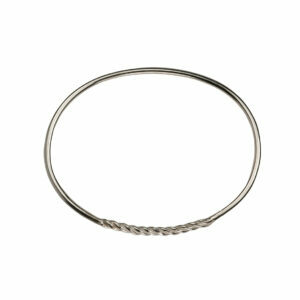 The anklet is made in sterling ethical silver with a polished finish. Would you like to make an inquiry? You can contact farah@farahqureshi.co.uk. Please note that all jewellery is currently made to order and takes a few weeks to make and send. 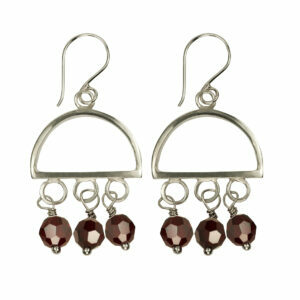 A gorgeous pair of silver earrings with vibrant red glass faceted beads, made using ethical materials. Inspired by found objects and made in the United Kingdom. Dare to be different. 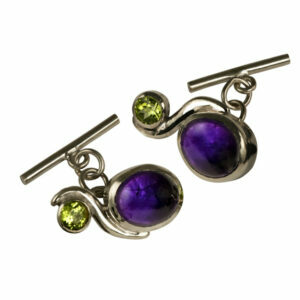 These cufflinks are made with both men and women in mind and are made in ethical polished silver with glossy grape coloured amethyst gems and sparkling apple coloured peridots, they are inspired by botanical imagery and are hand made in London. Would you like to make an inquiry? You can contact farah@farahqureshi.co.uk. The cufflinks can take between three to four weeks to make and dispatch. 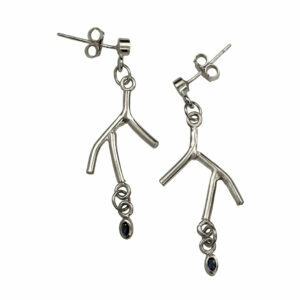 These stylish and dainty earrings are made in ethical polished silver with dark midnight blue, glimmering sapphires and are inspired by visits to botanical gardens. They are currently made to order and take approximately three weeks to make and send. Would you like to make an inquiry, please contact farah@farahqureshi.co.uk for further information. These elegant and wearable earrings are from a collection called lady L. They are made in ethical sterling silver with subtle coloured transparent rose quartz stones. They were shown as part of a collection at the Guildhall Art Gallery, during an exhibition called age of elegance. Would you like to make an inquiry? You can contact farah@farahqureshi.co.uk for further information. Delivery times are between three to four weeks. 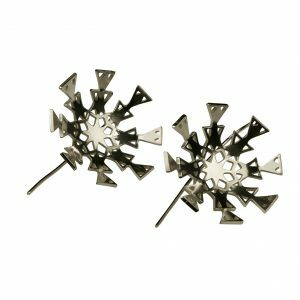 A stylish and fun pair of ethical silver earrings made in sterling silver. The earrings have a hook fitting and are 3cm x 3cm. The inspiration comes from flakes of snow under the microscope. Currently the earrings are made to order. Would you like to buy a pair? Please contact farah@farahqureshi.co.uk for further details. This is an elegant classic with a twist and is made in ethical sterling, polished silver, the inspiration comes from visits to the English countryside and barbed wire. There is a twisted pattern which combines with the smooth metal. Currently this design is made to order and takes approximately three weeks to make and send. Would you like to make an inquiry? Please contact farah@farahqureshi.co.uk for more information. For trade and retail enquiries please fill out this form.